Everyone and their mother has a blog. Small businesses have blogs. Multibillion-dollar companies have blogs. Individuals have their personal blogs. This is in no way a bad thing. Blogs are great! A well-written, well-organized blog can be entertaining, informative, and financially lucrative. But how is your blog supposed to be viewed and adored by the masses if it’s only a single drop in the endless sea of blogs that is the internet? This is the job of Search Engine Optimization, commonly known as SEO. Blog posts that practice specific on-page and in post SEO tactics tend to rank higher in search engine results. This, in turn, helps webmasters gain more traffic to their sites. How important is in post SEO? SEO is unarguably vital in today’s online space. When you optimize your blog posts, you’re driving your site to be vastly more visible to people who are searching for keywords associated with whatever product or service you provide. With the frequency of which Google updates its algorithms, it can certainly be confusing to internet marketers to know which SEO practices are the best for garnering traffic to their website. What exactly are search engines looking for in their top results? What kind of information do they find relevant? In this post, we’ll discuss some of the best SEO practices to optimize your blog posts and strengthen your site’s position in the search engine rankings. In the early days of Search Engine Optimization, some online marketers took the word “optimization” to mean “cramming high-profile keywords into a post as much as possible.” As you can probably guess, this is no longer a viable way to optimize your site. These days, keyword stuffing can penalize your site, making it virtually impossible for anyone to find. The best practice when it comes to keywords is to use them in a way that feels natural to the reader. Don’t force your keyword into a sentence where it doesn’t belong. Don’t pack a ton of different keywords in, either. 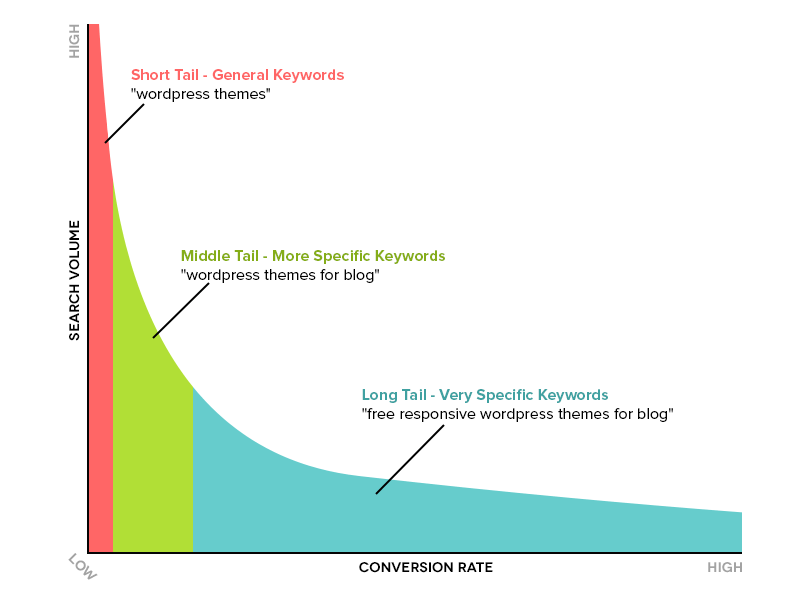 What you’re going to want to do is use one or two long-tail keywords in each blog post. A long-tail keyword is a phrase that contains at least three words, targeted to niche demographics instead of a mass audience. Because of their specificity, long-tail keywords offer benefits that generic keywords can’t. A long-tail keyword can allow your blog to rank highly in search results for popular topics quickly. They also tend to attract high-quality traffic, who are more likely to convert into leads or customers. Keeping the focus on just a couple of key phrases allows you to spend more time truly optimizing them. Once you’ve decided which long-tail keywords to include in your blog post, you’ll have to place them in the correct spots. Inserting your key phrases into the correct location can noticeably boost your search engine rankings through in post SEO. The most crucial places where your keywords should live are the title tag, throughout the body, the URL, and the meta description. The title of your blog post is the first thing that search engines and viewers will see. It’s the first step in determining how relevant your content is to searchable terms. This makes it essential that you include your chosen keywords for proper in post SEO. When websites appear on Google’s search engine results page, the title is cut off when it’s width reaches around 600 pixels. This means that the searcher is presented with around the first 60 characters in your title. For this reason, you’re going to want to organically include your keyword within those first 60 characters. If your blog post has a rather long title, it’s a good idea to place your keyword right at the beginning. In most cases, the end will get cut off. Long titles without proper keyword placement can cause your site to be seen as irrelevant. This can cause your site to be ignored by both search engines and viewers. Your keywords should be placed naturally, but periodically, throughout the body of your post. The emphasis here on the word naturally! Do not, under any circumstances, artificially cram your chosen keyword into every other sentence. You don’t want to go crazy and be penalized for keyword stuffing. You should also include them in your headers. When creating content for your blog, your primary goal should be to focus on the needs and desires of your audience. This is instead of how many times you can pack in your keywords. Your viewers were searching for something specific when they found your site. Your best course of action is to be as apparently relevant to the search query as possible. If you concentrate on making your content informative, useful, and entertaining, your keywords will insert themselves naturally. One of the first things about your blog post that search engine crawlers will look at is its URL. Search engines use the URL in part to determine what your post is about. It’s very important to always include your keywords in the URL of your blog post for maximum in post SEO. 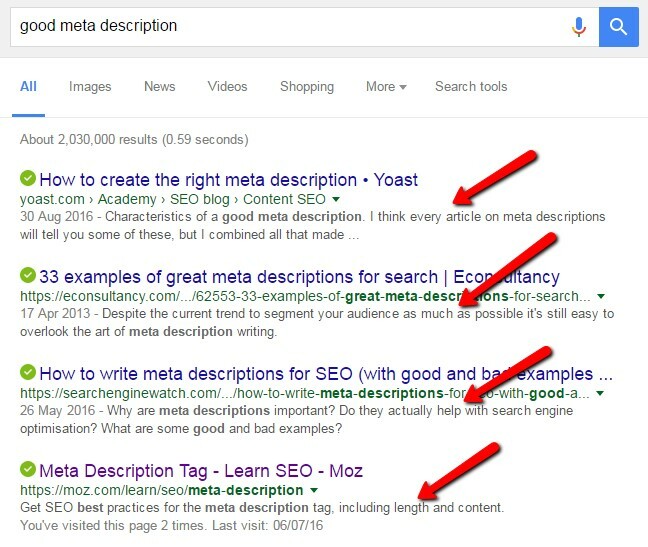 Your meta description is a small snippet of text that search engines display on their results page to give readers information of what your blog post is about. This is one of the main places where viewers decide if they’re going to click on your site. If you include your long-tailed keywords in your meta description, especially if written in a natural and engaging way, your click-through rates will skyrocket. The meta description, again, is the short section of text that appears under the title tag on the SERPs. This is the snippet that lets readers know what the blog post is about. The meta description lets searchers know if your site is useful to them or relevant to their question. Always include your keywords here and make sure to fill up all of the available space. These days, search engines don’t always pull the exact meta description that you write into the results page. Often, other parts of your blog post that are relevant to the keyword will appear under the title tag. These are found usually alongside parts of your meta description. This is likely intended to give searchers more of an idea as to the actual content of your site. So, there’s no guarantee that your meta description will get pulled to the results page. However, it’s still an essential part of truly optimizing your search engine rankings. If your blog post contains images, you should be using them to optimize your searchability. When a search engine searches for an image, it isn’t looking at the image in the same way as a human would. When Yahoo, Bing, or Google see an image, they’re looking at its alt text. Alt text is the accompanying short text description of an image. An image’s alt text tells the search engine what the image is about, which allows it to decide where those images rank in an image search result. Alt text is useful in other, user-friendly ways as well. If for some reason the image on your post can’t be displayed, the alt text will be seen by the viewer inside the image container. Blind or visually impaired searchers who use screen readers to navigate web pages will use the alt text of an image to understand what the image is about. Adding keywords to your image’s alt text certainly won’t skyrocket your search engine rankings straight to the front page of Google, but it is still an important small part of optimizing your site’s searchability. Over fifty percent of all online searches take place on a mobile device. This has led Google to display their mobile-friendly results above the non-mobile friendly sites. If your blog’s platform isn’t optimized for mobile use, you’re essentially cutting the chances of someone clicking on your site in half. So, what exactly does being mobile-friendly mean? Websites that have a responsive design can be optimized to work on both desktop and mobile. They use one URL for every device instead of separate URLs for each. Responsive design is a way of creating a website that uses a flexible layout that can detect the viewer’s device and change the layout accordingly. This results in greater ease of use, which will encourage Google and Bing to place you in high ranking. Topic tags are used to organize the content of your blog but using them unwisely can seriously harm your search engine rankings. Using topic tags that are too similar will cause search engines to penalize you for duplicating the same content multiple times throughout your website. Your best practice is to choose 20 to 25 topic tags that are important and relevant to your blog, taking care to make sure they aren’t too similar to each other, and tag your posts with only those keywords. This will ensure that you don’t lose any potential leads or clients due to search engine penalization for duplicate content. Bloggers and search engine optimizers have structured most blogs in a way so that individual blog posts rank for specific keywords. This lack of organization can make it hard for your potential viewers to find the exact information they were searching for. It also means that if you produce multiple blog posts relating to a particular topic, your own URLs can end up competing against each other in the search engine rankings. The solution to this problem of disorganization is to use the topic cluster model. Using this model, you’ll decide the broad topics for which you want to rank, and then create several blog posts using keywords relating to each of those topics that link together. The topic cluster model is a way of making a more deliberate, thought-out architecture for your site, so that visitors can find your content more easily, more efficiently meeting their needs. It also means that your URLs are linked together to help Google notice more of your site’s pages. Hubspot has a good video explaining the Topic Cluster model here. The URL structure of your web page should be used as a cataloging system for readers that lets them know their position on the website and where they can find other pages of the site. They should be able to easily understand the structure of your website and its content. This will allow search engines to identify what information the viewer is going to see on your blog. Inbound links leading to your website shows Bing and Google that your content is relevant to related keywords. Linking internally on your post to other pages on your site is one way of taking advantage of this. If you have previous content that relates to what your current post is about, it’s always a good idea to internally link to that content. Adding internal links to your site will not only show search engines more of your content, but will lead visitors to more of your content, increasing their chance of conversion. Google’s Search Console is a completely free tool that provides reports on how search engines interact with your site. 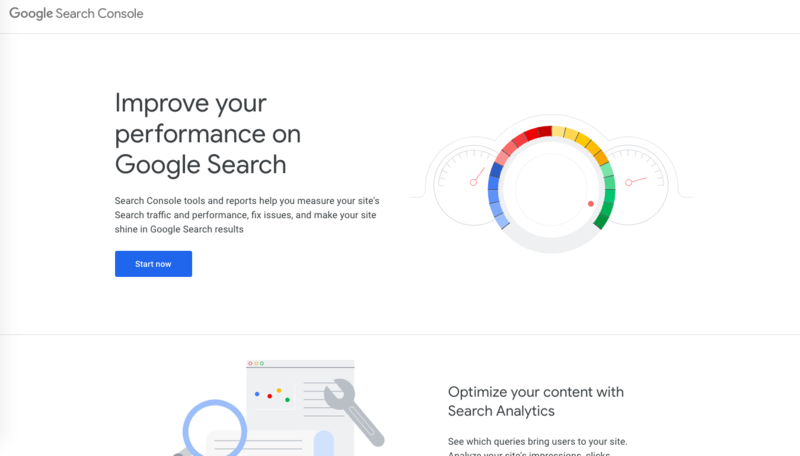 It has a section called the Search Analytics Report, which helps you determine what keywords people are using to find your content by showing how often your site appears in Google search results. You’ll be able to see how incoming traffic to your site changes over time, what locations they’re coming from, and what search queries are most likely to lead viewers to your blog. You’ll learn how many searches come from smartphones and tablets, and better improve your mobile targeting. Search Analytics Report will also show you which of your blog posts have the highest, or lowest, click-through rate. There you have it. If you follow these first steps to optimizing your blog’s SEO capabilities, you’re sure to get noticed by the major search engines and establish your blog as a credible and relevant source for your chosen long-tailed keywords.